All over Canada, from Cape Spear, Newfoundland to Victoria, British Columbia and everywhere in between, Nutcracker Sweet Gift Baskets sends gift basket to Canadian family, friends and businesses. We offer great shipping rates for all of Canada and many major Canadian cities take only 1-3 business days for delivery. Consider using Nutcracker Sweet Gift Baskets for your gift baskets going to all over Canada, including going to Calgary, Montreal, Quebec City, Vancouver, Halifax and Winnipeg. To celebrate our Canadian heritage, our amazing gift basket designers create Canadian themed gift baskets, each and every year, to show our patriotic pride. We include delicious Canadian favorites like maple syrup, smoked salmon and ice wine chocolates. These purely Canadian gift baskets are filled with fantastic items sure to please. Oh, Canada! Are you looking to send a gift basket to one or some of the many wonderful people in Canada? Nutcracker Sweet is proud to be servicing Canada and all over North America. 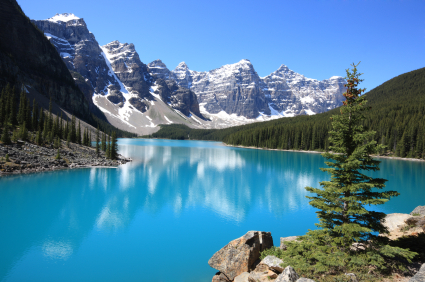 Canada is the second largest country in the whole world. Aside from Canada’s size, the country measures large in many other amazing things. Canada is most notable for their acceptance of all individuals and their non-discrimination campaigns. Canada was a leading nation to battle against discrimination against race, gender, and sexual orientation of individuals. Unlike many ‘Melting Pot’ societies, Canada accepts all individuals for who they are thus, many people in Canada have stuck to their traditional and cultural roots. Evidently, Canada’s population consists of the most diverse and multicultural societies. As a result, the society in Canada has prospered! You can say that this country is all about peacekeeping! We think gift baskets in Canada contribute to this! In fact, the former Prime Minister of Canada, Lester B. Pearson was the founder of the United Nations’ Peacekeeping division which awarded him the 1957 Nobel Peace Prize. Canada is poked fun at for being too nice. Saying sorry and thank you far too many times has never been a bad thing! People are too nice and send too many gift baskets in Canada! Canada is also known to have one of the best education systems in the world. Also, almost half the population in Canada hold a post-graduate degree or certificate. In terms of the entertainment industry, Canadians are well known to be the comedians. These comedians are ridiculously hilarious! The huge stars include Mike Myers, Jim Carey, Eugene Levy, Seth Rogan, and many more! You will always have a good laugh with Canadians! Canada is well-known for their national sport, Hockey. Nutcracker Sweet has hockey gift baskets that you can send to anyone in Canada! Most recently, on January 4, 2015, Team Canada took home the gold medal in the IIHF World Junior Championship against Slovakia. That game was one for the books! You can only imagine the crowd going wild throughout the country. Canada is filled with positive energy. The residents in this country are always polite and content. We, at Nutcracker Sweet, also take pride in being a Canadian business. We have been successful for over 30 years because we have combined the best quality chocolates and goods and create the most beautiful gift baskets right here, in Canada. Canadians may already be perfectly content but, at Nutcracker Sweet, we know how to make those smiles bigger and brighter. So for your gifts to anyone in Canada, trust the local gift basket company, Nutcracker Sweet. Our gifts never disappoint and we always find way to impress you and your recipients!